It takes three to twelve months from the start of training to daytime toilet independence. The more readiness skills that a child possesses, the quicker the ?process will be. a. Frequently, every hour or two. b. It varies. a. No. b. With help he can. c. Yes. a. He ignores me. b. Sometimes listens, sometimes wanders off. a. Never. ?b. Sometimes. c. All the time! a. No. b. I’m undecided. c. Yes. Most answers are b: Time for pre-potty training–get ready! 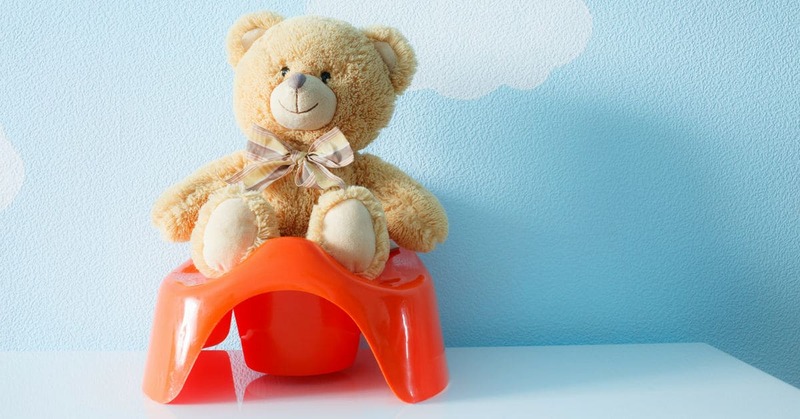 Get Ready – If your child is near or has passed his first birthday, you can begin incorporatig pre-potty training ideas into his life. They are simple things that will lay the groundwork for potty training and will make the process much easier when you’re ready to begin. Stop If your child has temper tantrums or sheds tears over potty training, or if you find yourself getting angry, then stop training. Review your training plan and then try again, using a slightly different approach if necessary, in a month or two. For the first go round we recommend following the above with additional suggestions from the book by Elizabeth Pantley. If you have to stop and try gain (rarely happens), we recommend following the procedure presented in Toilet Training in Less Than A Day .